Figure 1. Tweezers Bottom pattern. The Tweezers Bottom is classified as a two-line pattern although it may be composed of more than two candles. The first line can be any candle of any color except the Four-Price Doji. 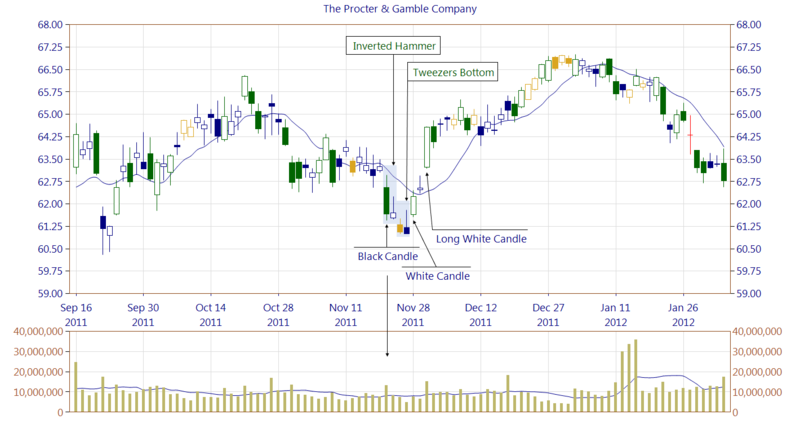 The subsequent candles may be of any color and type, except the Four-Price Doji. Additionally all low prices need to be equal. The Tweezers Bottom may be a part of other patterns in a downtrend. It has to be confirmed on the following candles. Figure 2. The first line of a Tweezers Bottom cancels an Inverted Hammer occurrence. It is worth to pay attention to the first line of the Inverted Hammer which is a Black Candle formed at a high trading volume above the average. This candle may act as a strong resistance in the future. The Tweezers Bottom is confirmed by the following candle which is a White Candle. The appearance of a Long White Candle shows that the bulls are in control of the market. The Long White Candle will act in the future as the support. Figure 3. 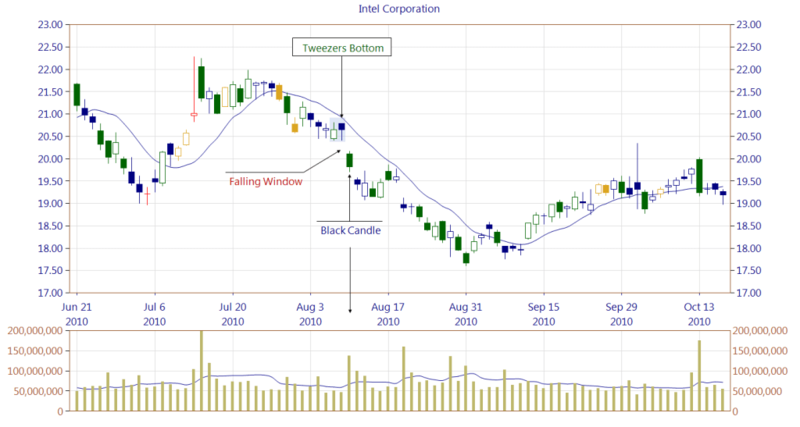 A Tweezers Bottom pattern is not confirmed on the following candle. A Falling Window, formed at a high trading volume, creates a strong resistance zone. The bears are in control of the market. 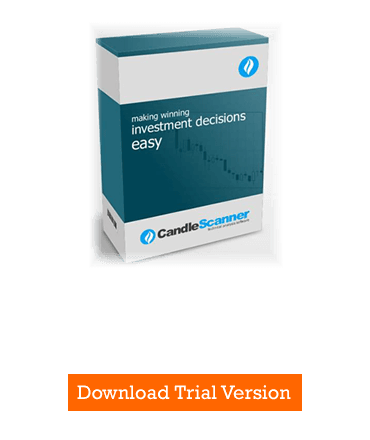 Below you can find some Tweezers Bottom pattern statistics calculated by CandleScanner software. To see more detailed statistics, for other markets and periodicity try our CandleScanner software. Prices start at only $10, and you can see more detailed statistics, for other markets and periodicity. Click here to find out more!